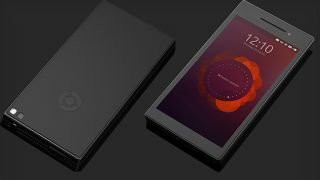 The dream of an Ubuntu Phone is dead, Canonical announced today, putting an end to the long and winding journey for handsets that once promised to offer an alternative to the major mobile operating systems. Canonical and Ubuntu Founder Mark Shuttleworth revealed in a blog post the company is abandoning Unity 8, its "phone and convergence shell". Unity 8 was central to Canonical's efforts to have one user interface across devices. Canonical Community Manager Michael Hall also confirmed Ubuntu is shuttering its phone as well as tablet ventures to Ars Technica: "Work on the phone and tablet is also ending, the whole convergence story, really." As Canonical cancels efforts in smaller form factors, the Ubuntu desktop will return to GNOME. Indeed, desktop support is in no danger of disappearing. "I'd like to emphasise our ongoing passion for, investment in, and commitment to, the Ubuntu desktop that millions rely on," Shuttleworth wrote in his post. "We will continue to produce the most usable open source desktop in the world, to maintain the existing LTS releases, to work with our commercial partners to distribute that desktop, to support our corporate customers who rely on it, and to delight the millions of IoT and cloud developers who innovate on top of it," he continued. As to the phone's failing, Shuttleworth explained he initially figured Canonical could help deliver the future of convergence with free software. The company's efforts "would be widely appreciated both in the free software community and in the technology industry, where there is substantial frustration with the existing, closed, alternatives available to manufacturers," he reasoned. "I was wrong on both counts," Shuttleworth admitted today. "In the community, our efforts were seen [as] fragmentation not innovation. And industry has not rallied to the possibility, instead taking a 'better the devil you know' approach to those form factors, or investing in home-grown platforms." Ultimately the decision to abandon Ubuntu phones comes down to commercial and community viability, neither of which such products were able to garner. On the other hand, Ubuntu continues to see success in the cloud and IoT, and Canonical is keen to bolster its presence across cloud infrastructure, the automotive industry, robotics, networking and machine learning. Canonical will continue to invest in these growth areas, Shuttleworth wrote, namely, "Ubuntu itself, for desktops, servers and VMs, our cloud infrastructure products (OpenStack and Kubernetes) our cloud operations capabilities (MAAS, LXD, Juju, BootStack), and our IoT story in snaps and Ubuntu Core." Sadly, there won't be a phone that mirrors these larger systems.